It's Adventure Time! This Adventure Time Marceline and Marshal Lee Pint Glass 2-Pack is the perfect thing for Adventure Time with Finn and Jake fans. 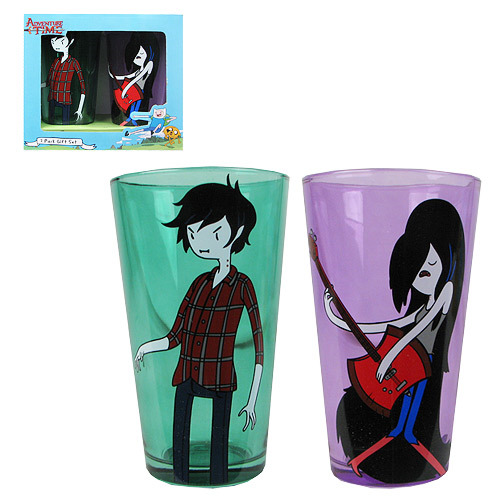 These great pint glasses feature the vampire Marceline and her gender-swapped persona, Marshal Lee. Pint glasses hold up to 16 ounces of liquid. Hand wash only. Not dishwasher safe. Do not microwave. Ages 12 and up.